Members of the Mid-West business community took part in their final leadership discussion as part of the Limerick Chamber Regional Leaders’ programme, just before Christmas. 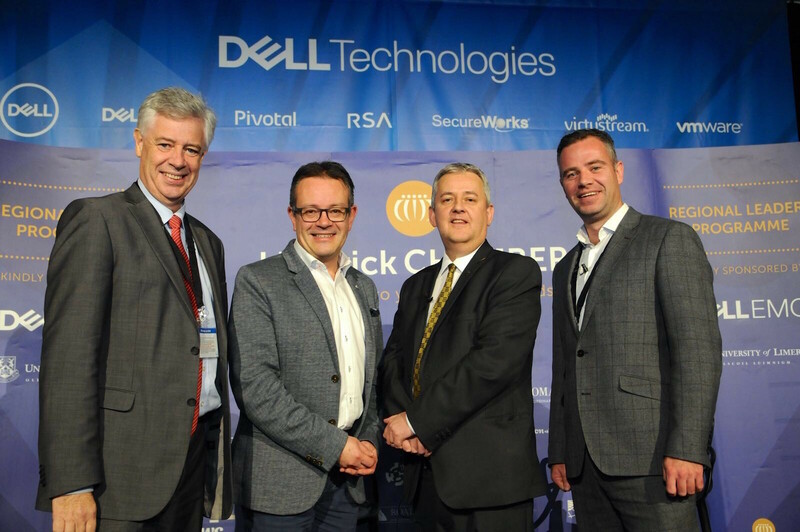 Limerick Chamber is delivering the programme, which was launched in January 2017, in collaboration with Dell EMC and the University of Limerick. Throughout the year, the programme has hosted five leadership discussions at the Dell EMC campus in Limerick, and has seen 150 participants from across the Mid-West business community participate. In addition to the leadership talks the participants have also availed of mentor sessions with a group of 20 business leaders, which have volunteered over 180 hours of their time and experience and have hosted 100 mentor meetings as part of the programme. Bill Maher is CEO of the Bon Secours Health System, Ireland’s largest independent Hospital Group, delivered the final talk in the series. The Bon Secours Health System employs over 3,000 personnel, who, together with 410 leading consultants work in partnership to provide the highest standard of Advanced Medicine Exceptional Care to over 280,000 patients each year. “We’re delighted that on this occasion Bill Maher was able to provide his leadership insights that will inspire our participants to be ambitious and grow their business,” said Dr. James Ring, CEO, Limerick Chamber. Written and edited by Amy Murphy, Journalism student from DCU.